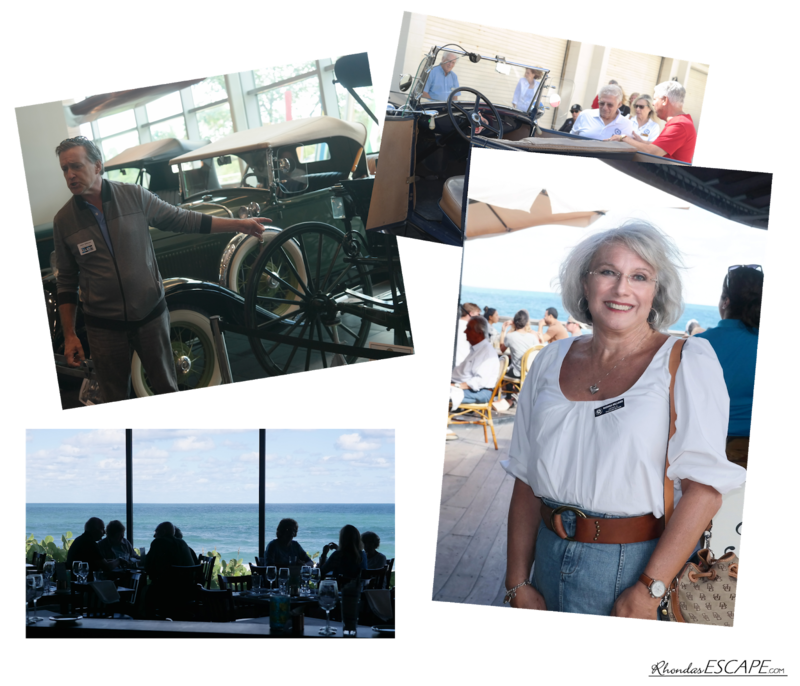 Our November Mercedes club meeting (MBCA - Roadstar Section) was held at the amazing Elliott Museum in Stuart, just a few miles north of where I live. I have several car buffs as followers and I highly recommend this fascinating display of classic cars, trucks and some modern one-of-a-kind vehicles. I had visited and walked the displays before, however this time we had a guided tour by the curatorial staff. Afterwards, we all went to lunch at a Jensen Beach restaurant that faced directly out on the ocean. What a fun day. The Elliott Museum pays tribute to its namesake, Sterling Elliott (1852–1922) with an exhibit of early Elliott bicycles, including the 1889 Elliott Hickory Quadricycle, the first vehicle to use Elliott’s steering system. This exhibit, Sterling Elliott: The Man Thomas Edison Called a Genius, features objects and images from Elliott’s life and work. Other objects on display include a some of Elliott’s addressing equipment. 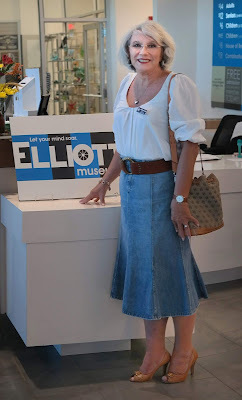 The look you presented at the museum was great. Nice and casual but dressy in a way. I try to present similarly when going out for a shopping excursion. My compliments.